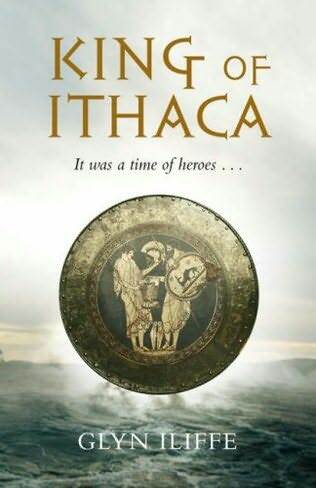 King of Ithaca is the first book in this series about the Greek warrior and hero Odysseus. The story begins with Laertes still the King but there is a revolt brewing that threatens to remove Laertes and his line as the royal family. Odysseus is consulting the oracle on Mt. Parnassus about his future. It is this journey where he meets the other main protagonist of the book, Eperitus, an exiled prince looking to find glory under a new lord. The Odysseus in this story is not portrayed in the Homeric mode but is rather more human than mythic. His crafty like nature is not some spur of the moment inspiration, instead Odysseus wrestles with each problem to find solutions. There is doubt and anguish involved in the process. This very human quality is found in all of the characters involved including the three main women in the story, Helen, Penelope and the most formidable of them, Clytaemnestra. In juxtaposition to the human equation we find a taste of the Olympians mainly in the portrayal of Athena. She has promised to lend her aid to Odysseus in his quest to reclaim the throne of Ithaca but you know Olympians, they can be a bit fickle at times and Odysseus knows this. There are many scenes of action, battles with human foes and one with a monster in the mythic tradition, and a sort of humorous scene of the hero Ajax entering the hall of Tyndareus in Sparta. He reminded me somewhat of Angus Donald’s Little John but on steroids. There are also a few well placed quirks in the story line that make one pause for a second to negotiate an unexpected turn in the road. It is a very enjoyable account of my favorite Greek hero, Odysseus and look forward to continuing his story in the sequel. This book rates a strong 4 stars. Given the fact that I have read many of Simon Turney’s books I would have thought by now that it would be nigh unto impossible for him to surprise me. I am used to the plot twists that he infuses into his novels, indeed I sort of expect them. 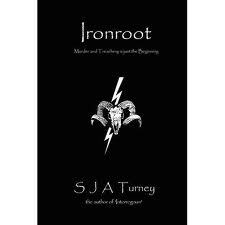 However, in Ironroot, the second of three books set in a pseudo Roman world, he managed to do just that. The protagonist Varro, a Captain in the Imperial Army, is wounded during a skirmish and is subsequently told that he is dying because the weapon used on him was laced with Ironroot, a poison with no antidote. When it becomes apparent that he was specifically targeted, a conspiracy to cover up a senior officer’s treasonous activities unfolds. Thus begins a race against time as he and an enterprising member of an engineers cohort seek out the truth and possible revenge. What follows is an exciting tale of action, loyalty and a steadfast belief that they were chosen for this mission by a local tribal deity. Now the author could have gone in many different ways with this including a formulaic one but this is where all the surprises in the plot come to the fore. The climatic scenes are wonderfully portrayed demonstrating Mr. Turney’s vivid imagination and abundant sense of irony. I would love to be more specific but that would be unfair to the author and to prospective readers…after all, they deserve to be as surprised in their reading of this novel as I was. 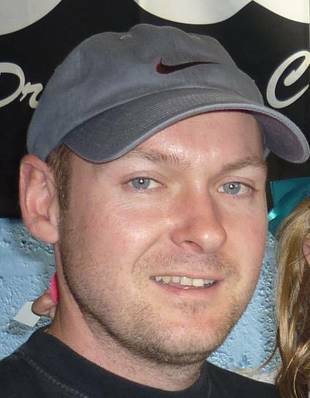 Stephanie: Steven A. McKay is a writer from Old Kilpatrick, near Glasgow in Scotland, heavily influenced by the likes of Bernard Cornwell, Doug Jackson, Anthony Riches, and Robert Low et al. His first book, Wolf’s Head, is set in medieval England and is a fast-paced, violent retelling of the Robin Hood legends. His take on the theme is quite different to anything that’s been done before. 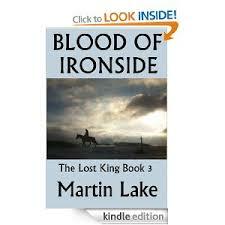 It is available NOW on Kindle as well as paperbacks from Amazon. Hello Steven! Welcome and thank you for chatting with me today. So tell me about your book, Wolf’s head. I’ve heard nothing but wonderful things about your story. In Lions of the Grail I found myself transported to a time and place I am not too familiar with, the history of Northern Ireland and the invasion of it by The Bruce Brothers. It seems that most everyone in that region wanted to rule Ireland except maybe the Irish who were too busy clan fighting to resist the English under King John or the upstart Scottish King Robert the Bruce. It is in this chaotic period that we meet our protagonist Syr Richard Savage, formerly of Ulster but who joined The Knights Templar as a personal quest to find meaning in life. Unfortunately for Savage, the Templars are declared heretics and are condemned by The Pope so after being betrayed by a former Templar now turned Knight Hospitaller, he has been incarcerated for 5 years awaiting his fate. Fortunately for Savage, King John(the son of Longshanks) has a pressing need for a former Ulsterman to spy out what is happening in Ireland regarding the Scots and the rumors of invasion. All in all, Lions of the Grail is a fast paced, intriguing story full of twists and turns, full of villainous treachery, full of valor and courage. A thoroughly enjoyable story. I rate it at 4.5 stars. I must confess that while reading this I couldn’t help but wonder what one thing about the book really grabbed my attention; something to focus a review on. As I continued, I gradually realized that it was the whole understated approach in this narrative that was the one thing. Now that may sound strange but I found the author’s style to be subtle yes, but also descriptive and educational. Let me set up the story a little, the narrator is Cogidubnus a priest and King of the Regenses and who was elevated to Great King of Britain by Claudius. The point in the story where I saw through the subliminal like message of the text was Cogidubnus telling his audience of his first visit to Rome. The awe inspiring splendor of Rome as seen through the eyes of a wattle and thatch hut existence woke me up to the descriptive talents of the author. The protagonist sees himself as a priest first even after Claudius elevates him. He always strives for a peaceful solution as this best pleases the gods, but there are times and events during his long reign that are far from peaceful. He not only has to deal with the likes of Caratacos and Boudicca but with mostly uncaring, stubborn Roman officials. There are exceptions to the avarice driven as Cogidubnus makes a lifelong friend in Vespasian and has a decent rapport with Claudius. 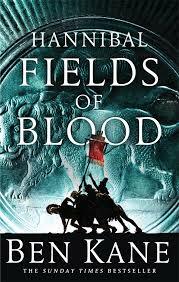 I really enjoyed how Vespasian was introduced into the story, cleverly done. This is an enjoyable read. I rate it 4 stars. Fine words from a fine gent. Ok. I know it’s late at night, but in all fairness, I do some of my best thinking late at night, and most of my best scenes are written in the wee hours. But tonight I felt, given an email I just read, that I needed to say certain things (no, not a rant at all, but an acknowledgement, at the least). I am – and some of you will snort or laugh at this – a remarkably shy person in reality. I am the sort who clams up and gets all coy when someone says something nice. When introduced to people I will invariably make a horribly inappropriate seafood joke or badger scrotum related comment that seems funny in the very instant that I panic about being told I am standing next to ‘hero x’ but later seems the height of buffoonery.